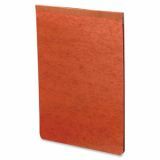 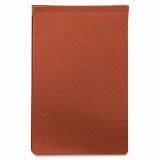 Smead Red PressGuard Report Cover - PressGuard binder features a twin-prong style fastener to neatly bind and cover presentations, reports, manuscripts, proposals or other documents that require loose-leaf style binding. 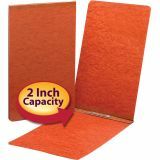 Two-piece cover compresses legal-size material tightly to reduce bulk. 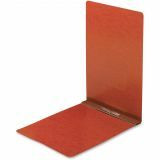 2-3/4 fastener compressor holds the report tightly together without damaging the document or the binder hinge. 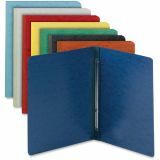 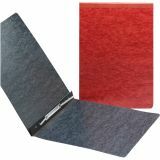 2" capacity binder is made of heavy-duty, 20 point PressGuard stock that is coated to resist moisture. 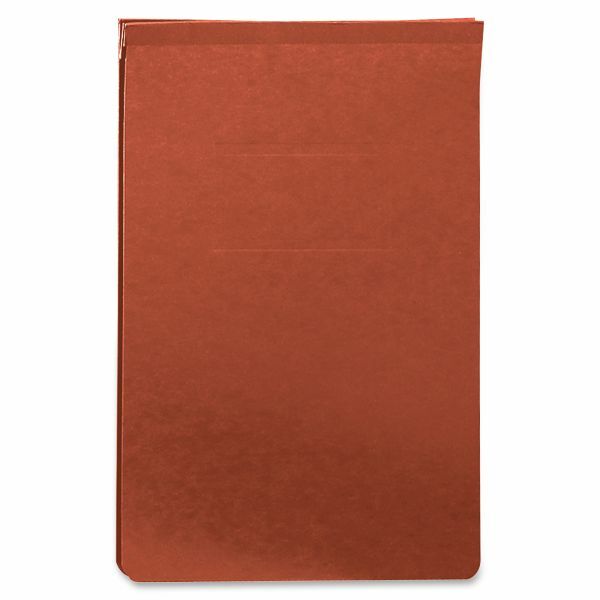 Binder includes a metal twin-prong fastener with compressor on the top and is made with a high percentage of recycled material. 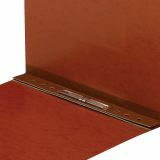 Fastener dimensions are center-to-center (C-C)."